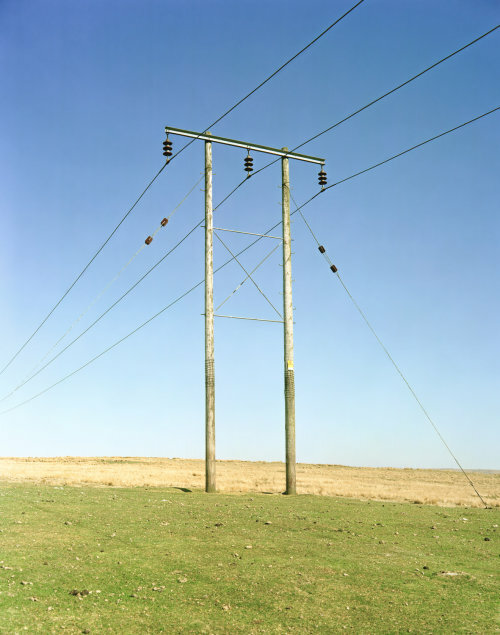 The photographic images that form the series Transmissions are a response to the cultural significance of the ubiquitous television transmission masts located in the south Wales Valleys region of the UK. Although it has long been recognised that telecommunications and broadcasting play a key role in globalization, there are other points of cultural divergence invested in the symbolism of these vernacular structures. As a small but culturally and linguistically distinct nation within the UK, Wales offers a powerful example of the role of television in constructing cultural identity. Broadcasting in Wales has played a crucial role in engendering the survival of the Welsh language, one of the oldest languages spoken on a daily basis in Europe. Not least television, with its two-way global reach, has helped develop and sustain an often-fractious collective memory for those living in Wales. Whilst providing an index to linguistic tensions within Wales, the photographs in Transmissions also document the passing of a landmark in television broadcasting in the UK, one that will see these structures becoming redundant with the introduction of new digital technologies.